With dual high-resolution screens mounted on the dash, remote ignition, and keyless start, even the base trim C-Class model comes well equipped. Customize the C-Class Mercedes-Benz sedan, coupe, or cabriolet with a touchpad controller, COMAND® hard-drive navigation system, or head-up display. 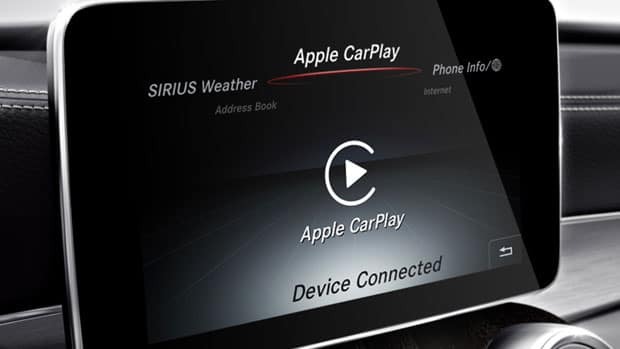 Three add-on packages to the mbrace® app introduce in-car Wi-Fi, extra security, and a 24-hour concierge which can help you find destinations in West Bloomfield, MI. On long road trips from Royal Oak, voice commands, SiriusXM traffic and weather, and a Burmester Surround Sound System enhance your driving experience. Compare the new Mercedes-Benz C-Class to the Lexus IS to find out which model offers better luxury features. If you have any questions about how to set up C-Class tech features, feel free to contact us. Still shopping around? Apply online for First Class Financing, and then stop by our showroom near Clarkston, MI.